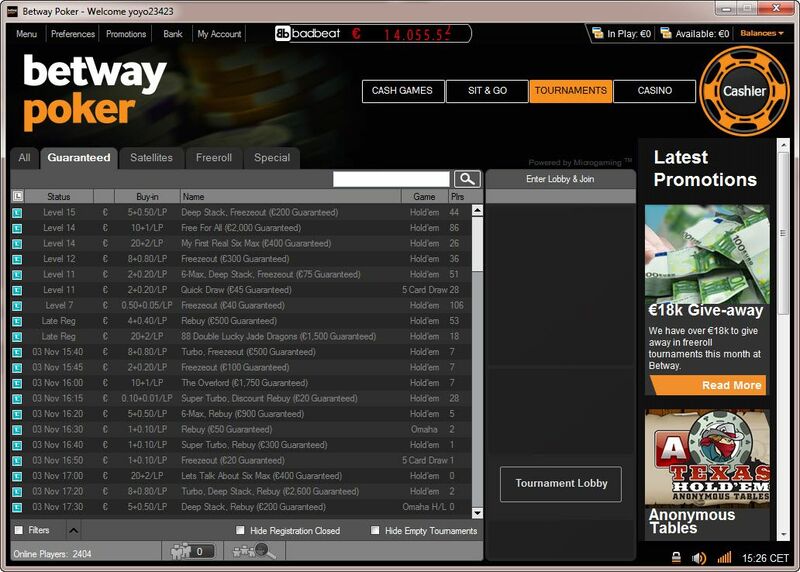 Betway Poker is part of the vibrant MPN (formerly Microgaming Network), where you have busy cash games and superb tournaments. Throw into the mix a large welcome bonus and the fact you can use all of Betway's other products from one account, and it’s easy to see why Betway has gone from strength-to-strength since its creation. Betway was launched in 2005 with the aim of providing world-class entertainment for its customers. Since its launch, Betway has increased its customer base to an impressive 1.8 million players who regularly play at Betway’s poker site, sports betting site and Vegas-style casino. 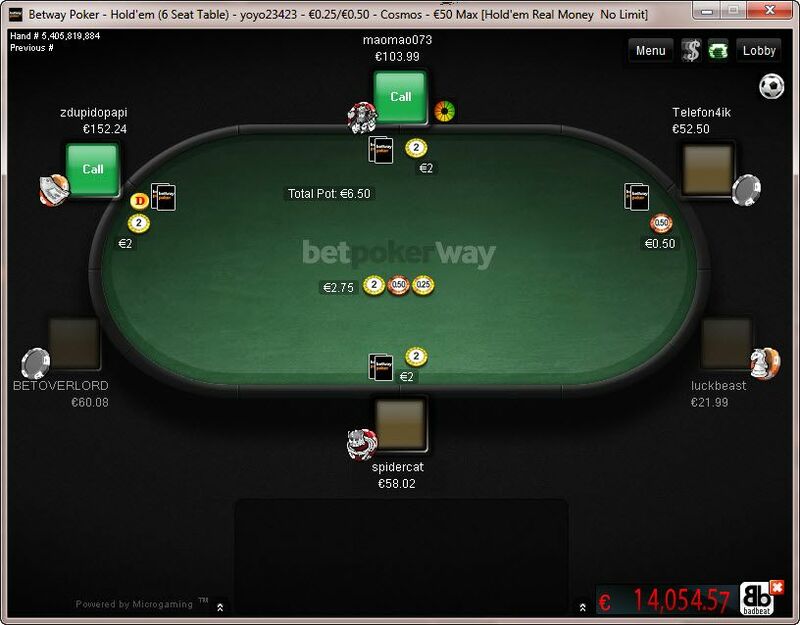 Like most online poker sites these days, most of Betway Poker's cash games take place at the no-limit Hold’em tables, although some pot-limit Omaha is also available, usually around peak European times. Betway Poker offers 'fast-fold' tables called Blaze Poker, where as soon as you click the fold button you are whisked away to a brand new table with new opponents and a fresh set of hole cards. 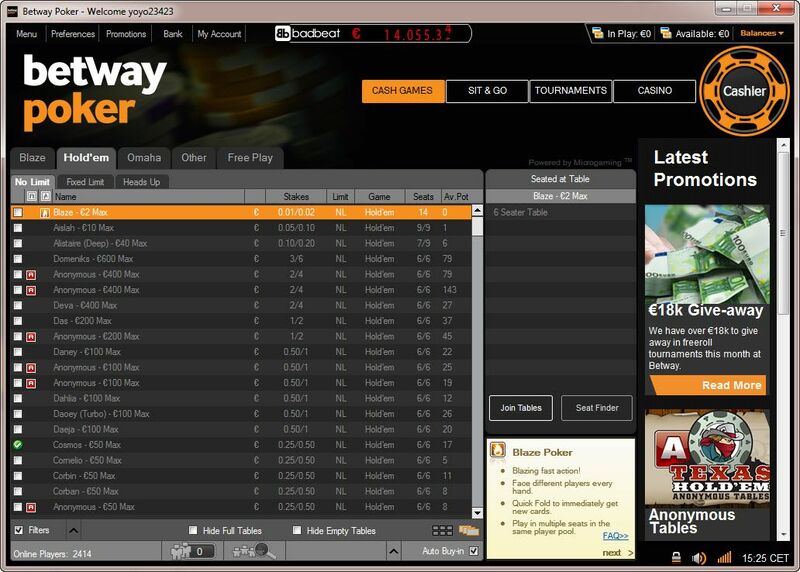 Betway Poker uses a MPN software which is easy to use, stable, and very quick in dealing cards. 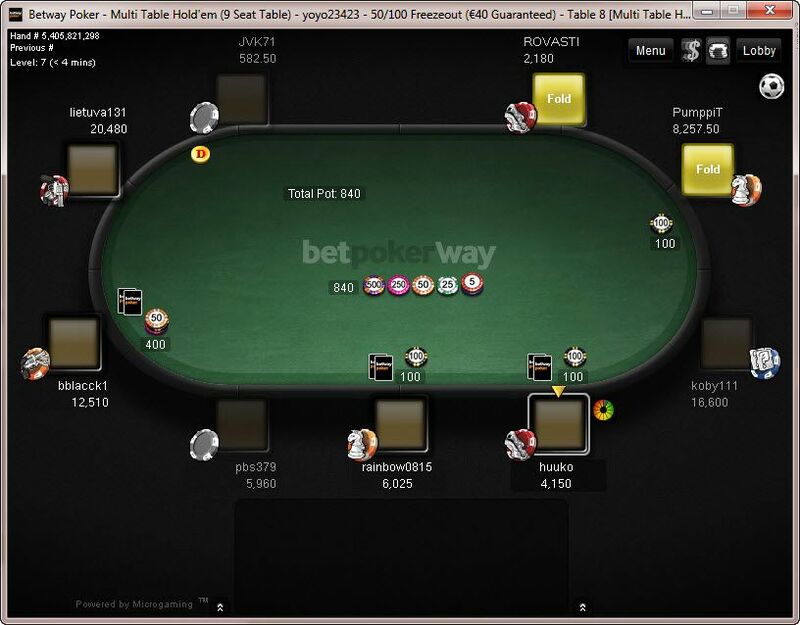 All of the features you would expect from a top tier poker site are here - including auto top-up, preferred seating, four coloured deck, note taking within the software and much more besides.